Recently I blogged about Auditing azure resources and I also blogged about how to work with the OficeDevPnP.PowerShell Module. This blog is about how i used both of these items to give myself a Sharepoint list that contains the Azure resources I audited. This allows for my users to know what is in Azure. this also allows me to put an Application name to the item I pulled from azure. 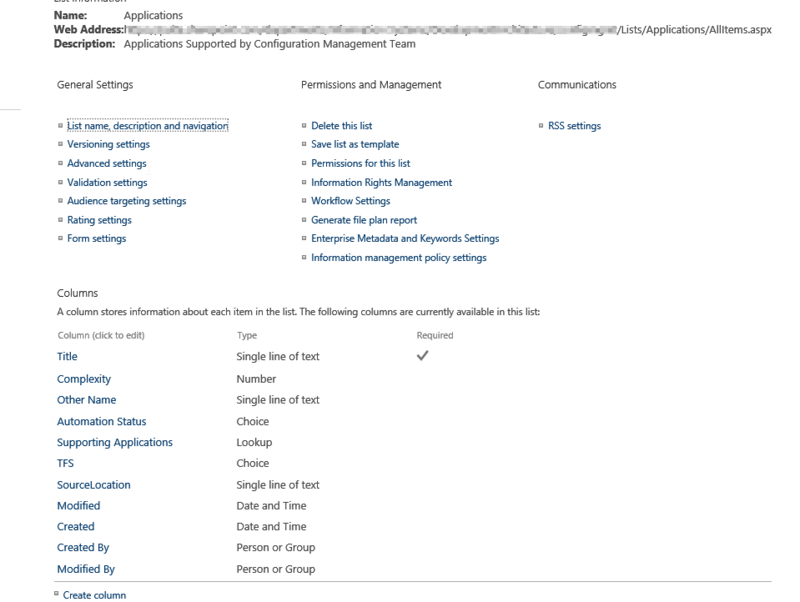 In order to post to my SharePoint list I have a field called application which doesn’t exist in Azure but does in my SharePoint list. The next loop will add this Application property to my object. With the switch we are going to add a field to the Azure listing called Application so that it meets the requirements of my Office 365 list. I have two cases where I need the name to be different than what is specified(Azure subscriptionname). So i put those two cases in the switch to account for them. The applicationlist variable is where a get of the list is done and then the applicationlistObj contains the list in object form. 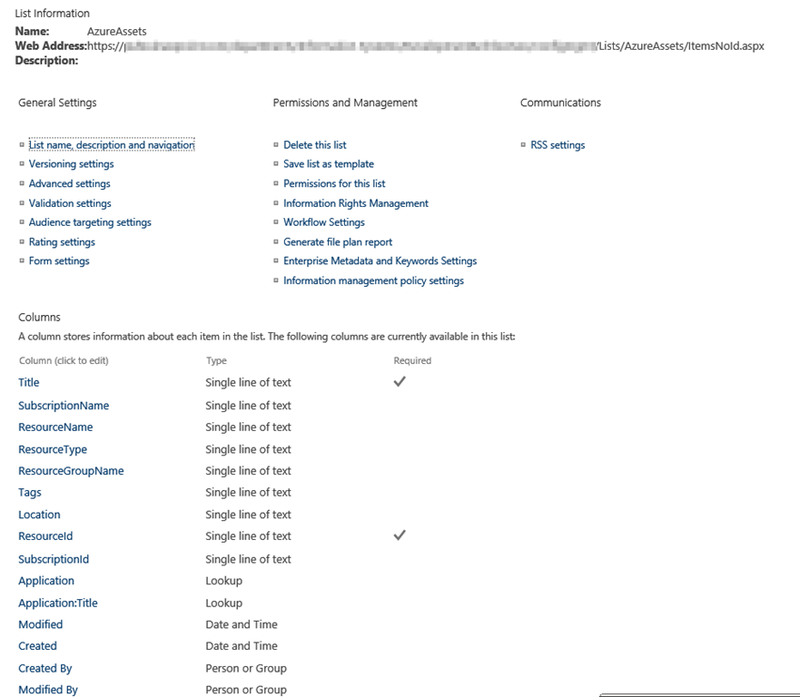 Now we can loop through each item in the Azure list to put them into our SharePoint list. current assets variable gets us the record that matches the Item we are currently on in our loop. Here we need to get the application id. this is so that when we update the list we use the value of the application name instead of the friendly name. Now we check to see if the record already exists in the SharePoint list if it does we’ll need to perform an update. If($currentAssets) #we found the record in the sharepoint site now we need to update. else #since we know there isn't another record of this type in our sharepoint list we'll just add it. Hopefully this helps someone with updating or making a new list from objects in Azure. The next loop will add this Application property to my object. Thanx Mike I fixed the mistake.